Go bold and classy this Summer. We see a nice outfit for ladies who like to wear mannish clothes. It’s a white shirt tucked in classy black pants. The look is completed with Wayfarer sunglasses and black leather work bag. 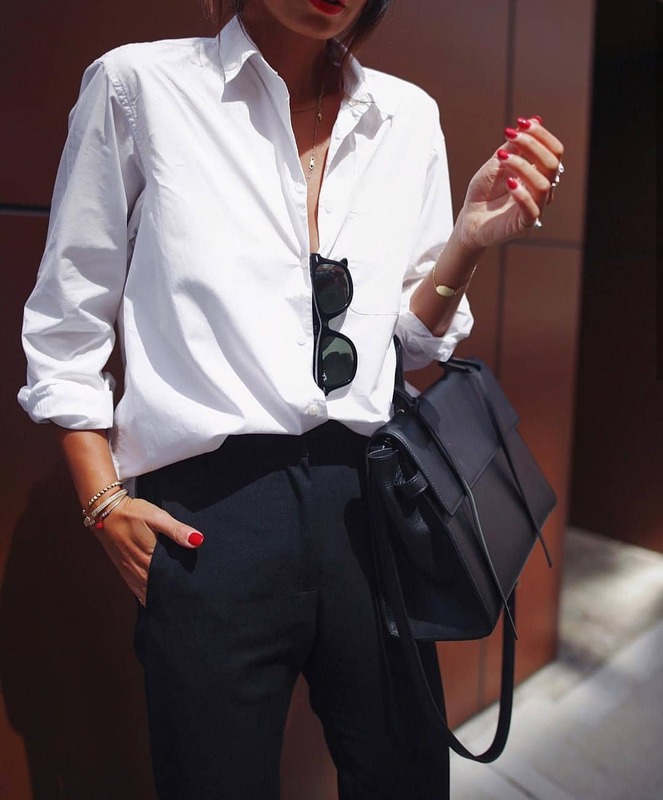 Make this office style look more feminine by adding arm parties and rings.